And now, for something completely different. 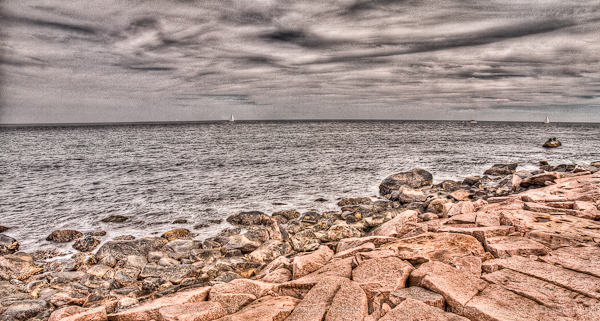 While I was in Rhode Island, I decided to try some HDR photography. It’s not something I do a lot of, but with this particular vacation I wasn’t willing to take the time to set up a shot when the light was right, so HDR seemed like a good solution. My mom has this theory of gardening – you learn when the best time is to transplant, cut, prune, etc., but you do it when you have the time. If it works out, great. I guess photography is the same way. I knew this was about the worst time of day to shoot and the cloud cover wasn’t going to be ideal. I didn’t have a tripod or neutral density filter on me so I couldn’t do any long exposure experimentation, so I thought I’d see if I could make some HDR “paintings.” The processing on these is a bit over the top and that’s by design. I’d like to print some of these on canvas and give them the feel of a painting. 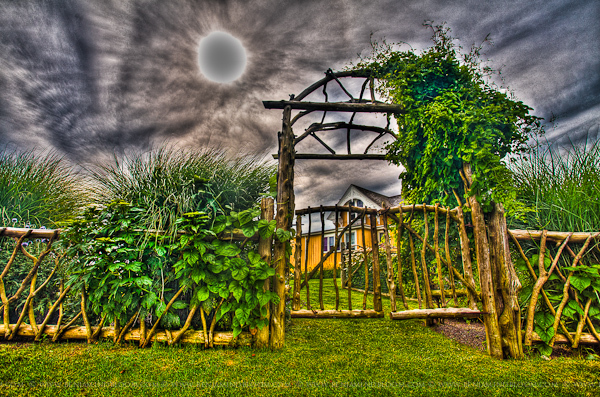 For those of you who don’t know what HDR is, it stands for High Dynamic Range. The human eye is capable of adjusting very rapidly to a scene that contains very bright and very dark elements but the camera has a fixed range of brightness that it can capture in any single exposure. 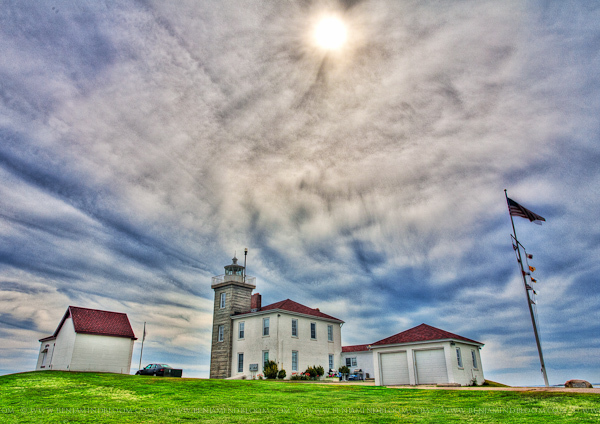 HDR is a way of tricking your camera into acting more like your eye; you take multiple photos at different exposure levels and merge them together. I don’t normally talk about technique or gear, so if you want to learn more you’re probably best off reading Trey Ratcliff’s HDR Tutorial. My opinion of HDR is changing over time. In the beginning I was fascinated; then it got really popular and I started to hate it. Now, I see it as a tool to keep available. The nice part about it is that you don’t have to bring any extra gear with you when you’re out shooting. A tripod is really all you need and it’s a good idea to travel with one of those anyway. I’ll continue to experiment with it and refine my technique. It was certainly fun to shoot some new things while on vacation. So much of my time is spent taking photos of people — either weddings, portraits, parties, events, sports or otherwise — that I forget it can be fun to make images without people as well. It’s probably opening a can of worms to ask, but what do you think about HDR? Useful? Interesting? Gaudy? Drop me a comment below. P.S. – if these look familiar to you, it’s probably because we’re connected on Google+. I signed up just before going on vacation and decided to try using it while I was away. If you’re on Google+, too, add me to a circle and we can figure out a new platform together. If you’re not on Google+ but want to be, I’d be happy to send you an invite so you can sign up. Evidently you vacation where I live, and I vacation where you live! Nice photos. I LOVE the last photo. I would love to build this home. Do you have other photos of the home?? Is it a B & B that I could find photos online? Any help would be appreciated. Do you happen to have a picture of the rest of the house attached to the last of your Rhode Island photos. 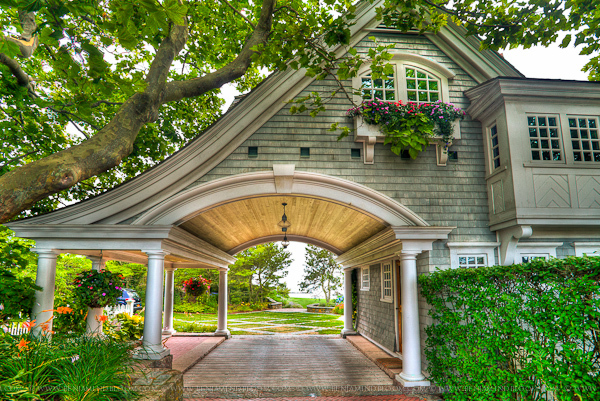 I love the porte cochere and am very curious what the rest of the home looks like. Grateful! Hi Craig, Unfortunately I don’t have any other photos of this house. Maybe Google Maps can help? It’s in Westerly, RI, just up the street from the Watch Hill Carousel and Beach. Hi Maureen, I don’t have any other photos of the home. Maybe Google Maps can help? It’s in Westerly, RI, just up the street from the Watch Hill Carousel and Beach. I believe it’s a private residence.